I was introduced to the Progeria Research Foundation when I was in middle school. The foundation had an office next to my dad’s where I would sometimes go after school. One of my first memorable volunteering experiences was for the Progeria Research Foundation. I spent a day of my break with two friends stuffing hundreds of envelopes. I felt very accomplished after this experience and continued to volunteer at different events sponsored by the foundation. My two friends and I even appeared in PRF’s newsletter in a picture taken from that day of volunteering. PRF holds a bi-annual benefit for research that I have also volunteered for. Since the foundation is located in my hometown, it has been difficult to volunteer since I’m living at school in Connecticut. However, I still try to educate others about Progeria when I get the chance. 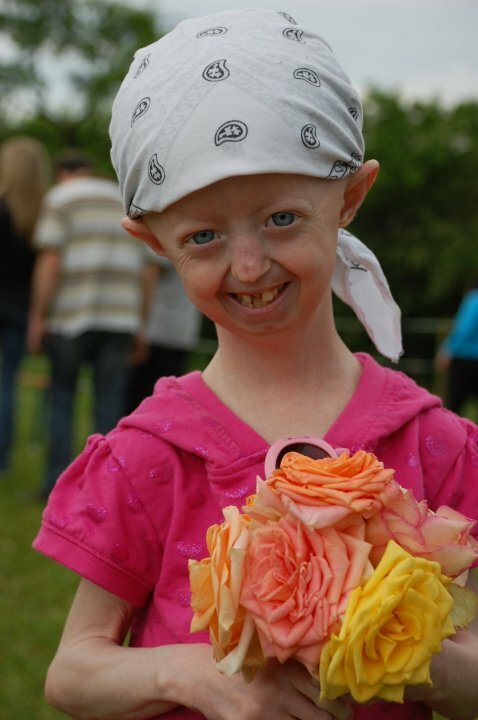 TLC recently aired “6 Going on 60” which documented the lives of two girls, Kaylee and Lindsay, living with Progeria. The moving documentary displayed the struggles and triumphs of their parents and families as their daughters try to live normal lives. I watched with several of my roommates. They were moved and curious to find out what I knew about Progeria. This made me realize that I can do my part to educate others and spread awareness for Progeria.